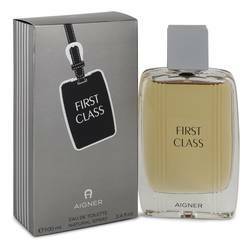 Aigner First Class Perfume by Etienne Aigner, Launched in September 2016, Aigner First Class is a men’s citrusy fragrance with fresh fruity accords . 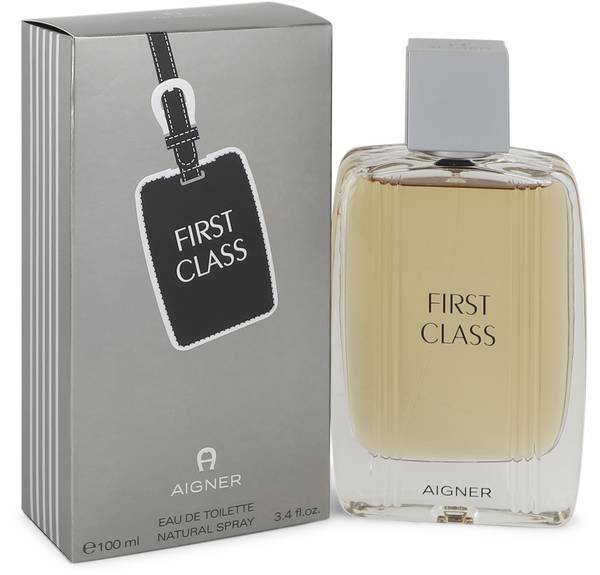 The scent captures the elegance and confidence of a man sitting in first class. Citrus notes of grapefruit and bergamot combine with fresh apple for a pleasant crisp start. The middle brings in spicy pink pepper with sophisticated jasmine and sweet melon. The base combines amber, patchouli, oak moss and vetiver for a sensual lasting finish. The Read More Read More moderate sillage fits nicely with the airplane inspiration. The bottle reminds one of a luxury suitcase. Moving from Germany to New York in 1949 allowed Etienne Aigner to found his company that would turn into an empire. Starting with handcrafted dark red leather accessories, the company expanded in the 1970s to include watches, fragrances, silk scarves, clothing and jewelry. Aigner’s legacy continues on in his company. The brand features a signature A logo and is available in 49 countries around the globe. All products are original, authentic name brands. We do not sell knockoffs or imitations.